Wherever media must be kept flowing by temperature maintenance and a flexible link between inlet and outlet is required, electrically heated hoses are the ideal solution. The medium-carrying hose at the core of the templine® heated hose is covered by a temperature-resistant braiding. The four heating cables are woven into, and fixed inside this braiding, this is unlike any other heated hose design. This produces a uniform heat on thehose surface which can be precisely monitored at all times using the built in temperature sensors. The heating conductors consist of various metal alloys with different resistances. Designed as highly flexible fine-wired conductors, they follow every movement of the hose. Different assembly combinations of the heating cables and hose materials allows Masterflex to influence the heating capacity and pressure resistance of the hose. There are many wide and varied applications for heated hoses including the development of prototype manufacturing equipment & machinery. Below are just a few of the industries that we work within to supply electrically heated hose solutions. If you are interested in speaking to one of our technical staff with regard to the design or supply of a heated hose then there are several ways of doing this. Either call the office in the UK on 0161 686 8066, or if you have a certain amount of information regarding the hose such as manufacturers part numbers, maximum temperature/pressure etc. 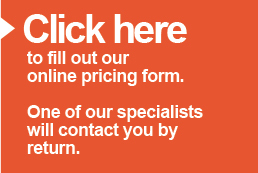 then please feel free to complete the online heated hose enquiry form, a member of staff will get back to you by return with a price or to further discuss your requirements. Many of the clients we work with have submitted specifications with regards to the supply of hoses in advance of requirement as they consider the heated hose a consumable but critical item, this forward planning allows Masterflex to confirm specifications and test the heated hose well in advance of actual requirement. In this situation, Masterflex would then be able to carry stock of a particular customers heated hose so that in the event of a hose failure the replacement is only hours away rather than days or weeks. 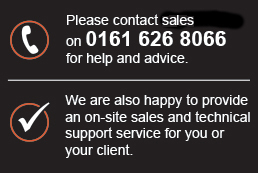 If your particular application is not covered or you just want to talk about replacing or designing a heated hose, please contact one of our technical sales team on 0161 626 8066 for help or advice. We are happy to provide an on-site sales and technical support service for the templine® range of heated hoses.